The suggestion by Wilder in 1921 that the anticonvulsant effects of fasting and the ketogenic diet were owing to the "sedative" effects of acetoacetate (3) reflected the belief at the time that a drug must have sedative properties to be anticonvulsant (14). It implied, however, that the ketone bodies have direct anticonvulsant effects. Not surprisingly, many studies since the time of Wilder have attempted to establish a correlation between the level of ketosis and seizure control. Overall, the clinical data derived from these studies have been somewhat conflicting. Many of the early reports suggested a significant relationship between ketosis and seizure control (3,4,15). Later reports, however, have sometimes supported (9,16-18) and sometimes disputed the existence of such a relationship (19,20). Fig. 3. Left: 1H-NMR spectra from plasma of a rat fed control diet (bottom trace) and from plasma of a rat fed the classic ketogenic diet (top trace). Right: 1H-NMR spectra from control plasma of a human volunteer (bottom trace), and from the plasma of a patient with epilepsy receiving the classic ketogenic diet (top trace). The spectra were obtained after filtering off the plasma proteins. Ketogenic diets with similar ratios of fat to protein plus carbohydrate appear to produce higher acetone concentrations in humans than in rats. Acetone concentrations in human patients can be 1.0-3.0 mmol/L or higher. centration and seizure suppression in rats (23). Other studies, however, have found that seizure suppression does not correlate with plasma levels of P-hydroxybutyrate (24,25). One of the strongest arguments for a causal relationship between ketosis and anticonvulsant effects is the demonstration of Huttenlocher that infusion of glucose into a patient on the ketogenic diet led to a rapid (within 45 min) decrease in plasma concentrations of the ketones, accompanied by a return of seizure activity (9). In contrast, one of the strongest arguments against a causal relationship between ketosis and anticonvulsant effects has been the observation that seizure control in animals may take several days (21), despite elevations in plasma ketone levels within hours of fasting (25). Clinical studies cast some doubt on the animal experiments, however. These results suggest that seizure control in children—like ketosis—does occur rapidly. Seizures in children may stop even during introductory fasting or in the very early stages of the ketogenic diet (26). A possible explanation for the conflicting data from studies of ketosis and seizure suppression is the use by most of these studies of blood/plasma P-hydroxybutyrate concentrations as the only index of ketosis. (Urinary ketones poorly represent blood/plasma concentrations and are less informative.) Acetoacetate and acetone, the other two ketones, have rarely been measured. How these other ketone bodies rise in patients on the diet, and whether they correlate with seizure control, is not known. Interestingly, the early clinical studies that found a correlation between ketosis and the efficacy of the ketogenic diet used "total acetone bodies" as their measure of ketosis. It appears that "total acetone bodies" included acetoacetate and acetone, but not P-hydroxybutyrate (4,15). Measurements of ketosis in future studies, should include not only P-hydroxy-butyrate, but acetoacetate and acetone as well. 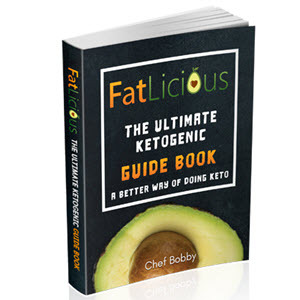 Examining the relationship between ketosis and efficacy of the ketogenic diet continues to be a principal goal of many clinical studies. The correlational approach by itself, however, cannot provide proof of the causal involvement of ketones in the mechanism of the ketogenic diet (27). Direct experimental manipulation is needed.